NEW YORK: More than 100 youth from 60 countries and between the ages of 18 to 35 gathered to prepare for the Youth Event of the 8th Global Forum of the United Nations Alliance of Civilizations (UNAOC). Youth at this event are alumni of the various UNAOC initiatives. They are all youth leaders who are engaged in grassroots activities and who have been beneficiaries of UNAOC’s programmes over the past ten years. 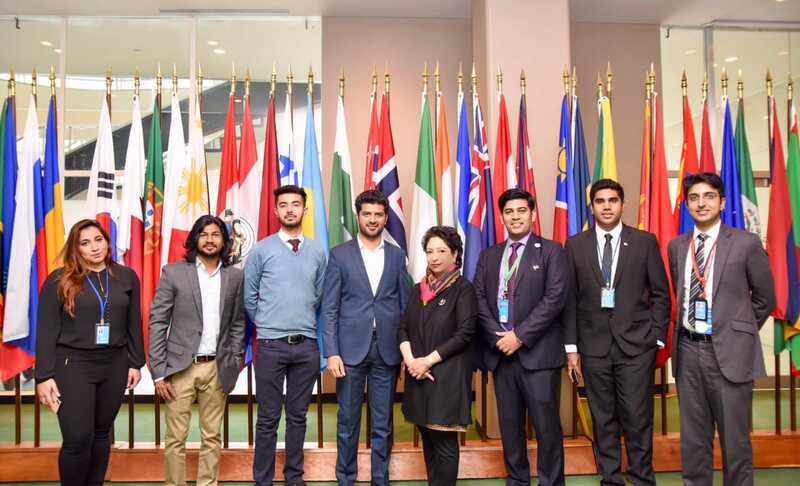 4 award winners from Pakistan are also invited in Global Forum at UN Headquarters. Mr Fsahat Ul Hassan, Mr Babar Ali, Moiz Khan and Mr. Ali Abbas represented Pakistan in the forum.